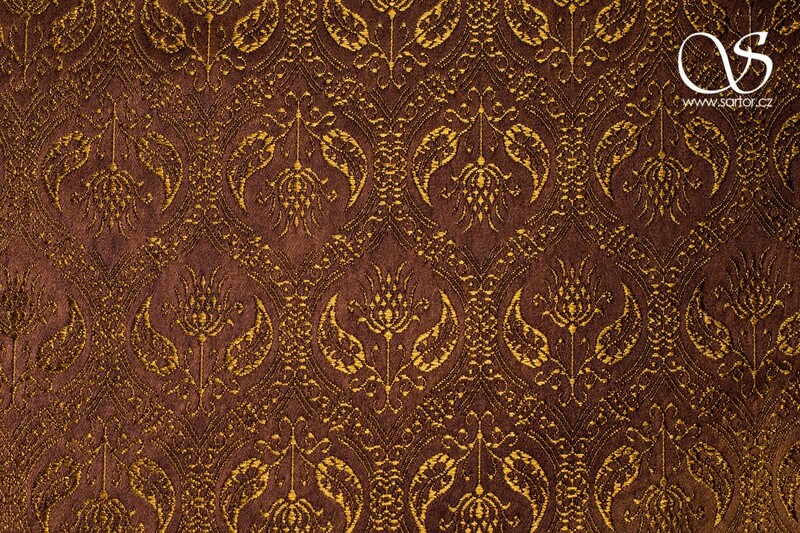 Brocade with Viking geometric patterns dated to the 9th century AD. 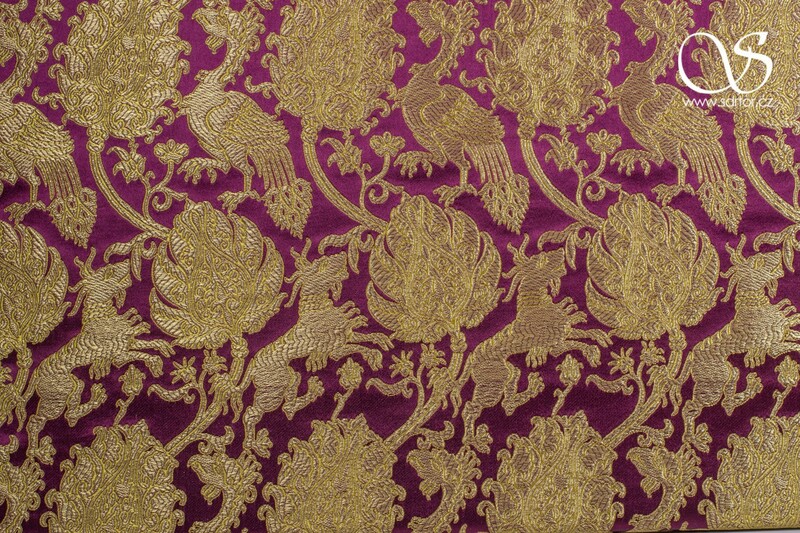 This brocade was inspired by an extant Viking tapestry which was is a part of the Oseberg ship grave collection (Norway), one of the biggest Viking archaeological finds in terms of textiles. 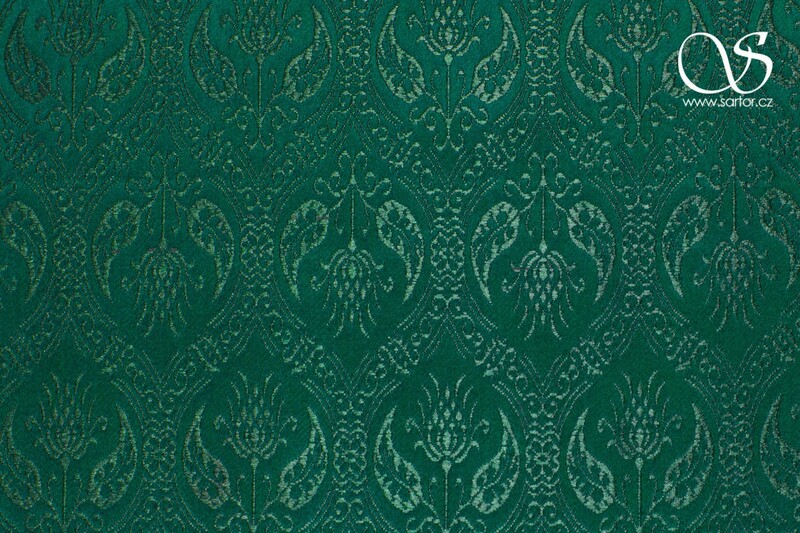 Among those many were of local origin, some were imported. 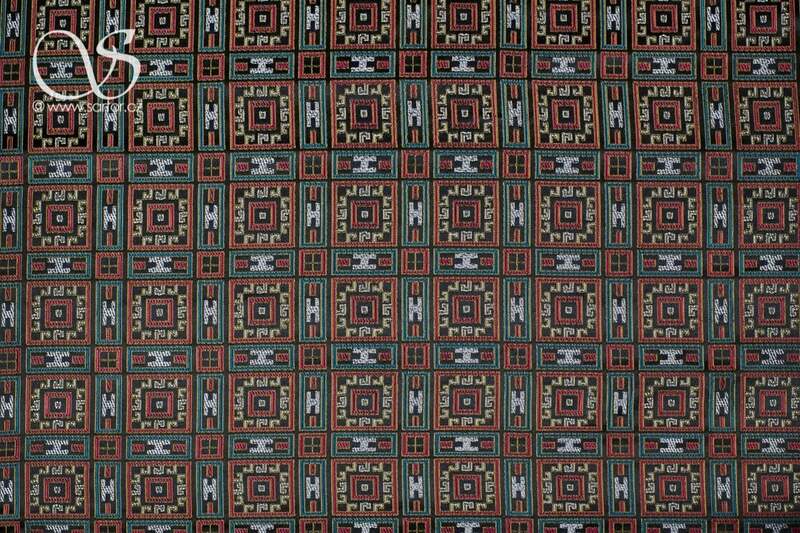 According to the curators of the Oslo museum the original textile was made of wool and made in free tapestry weave hence probably used for a wall decoration. 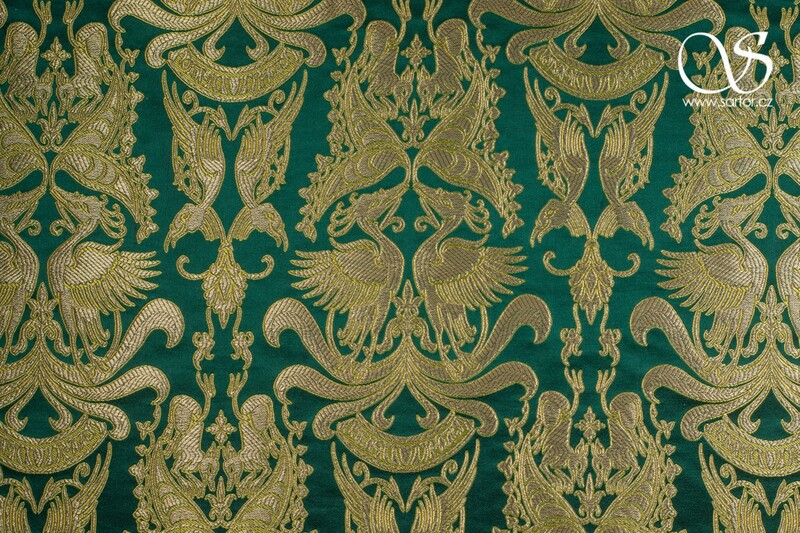 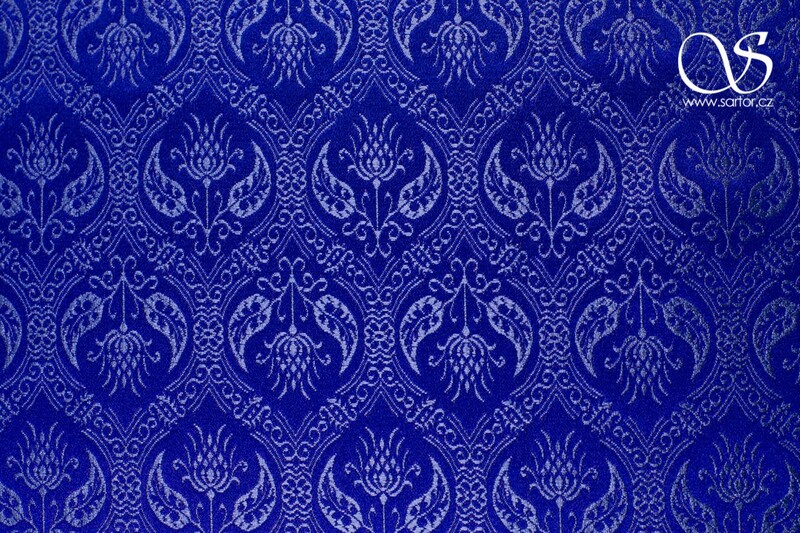 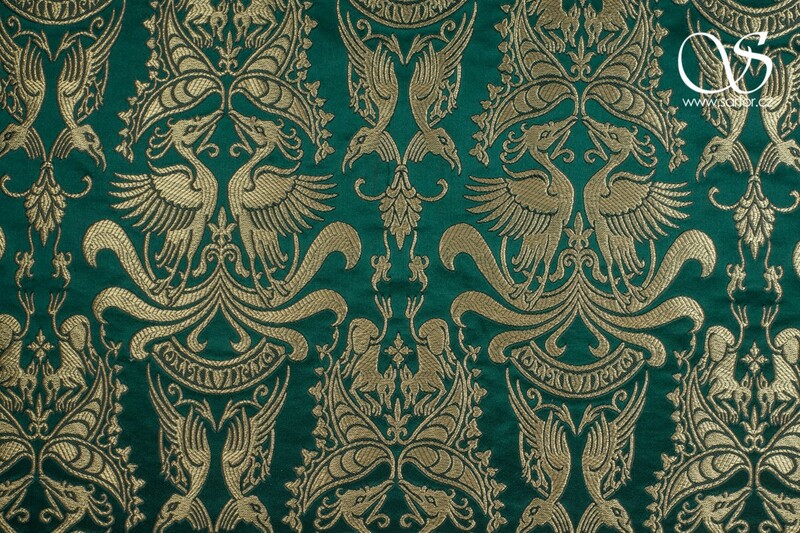 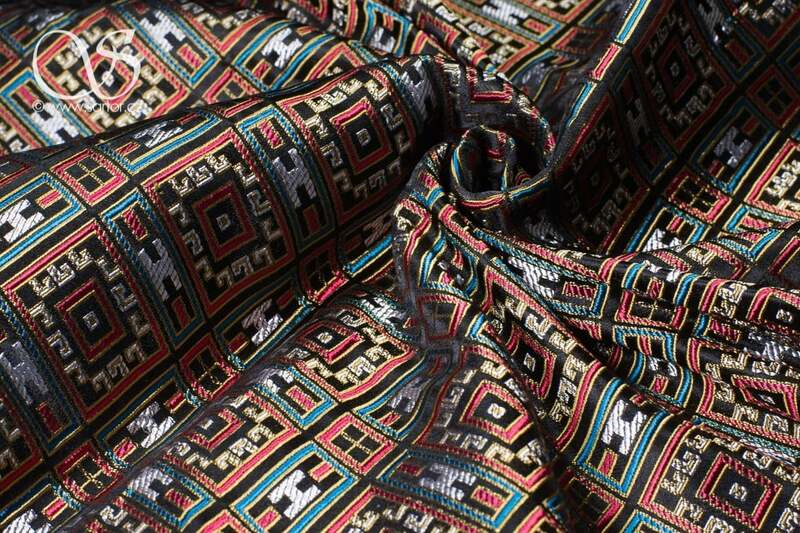 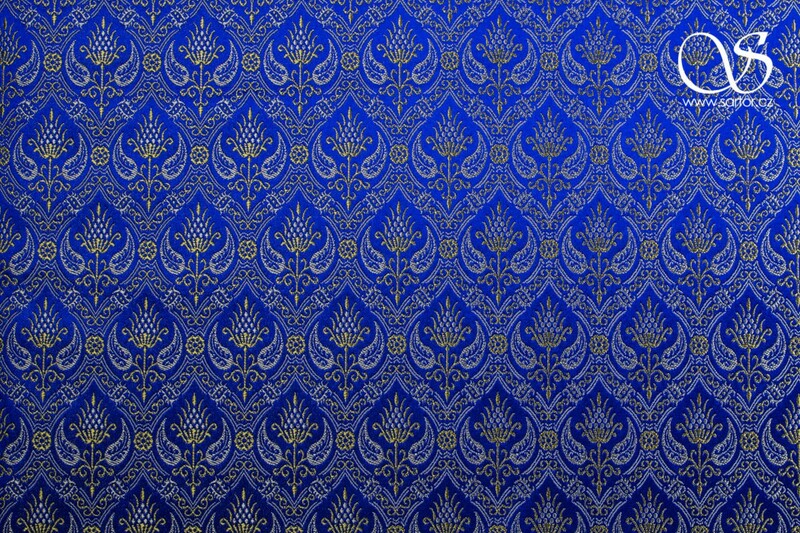 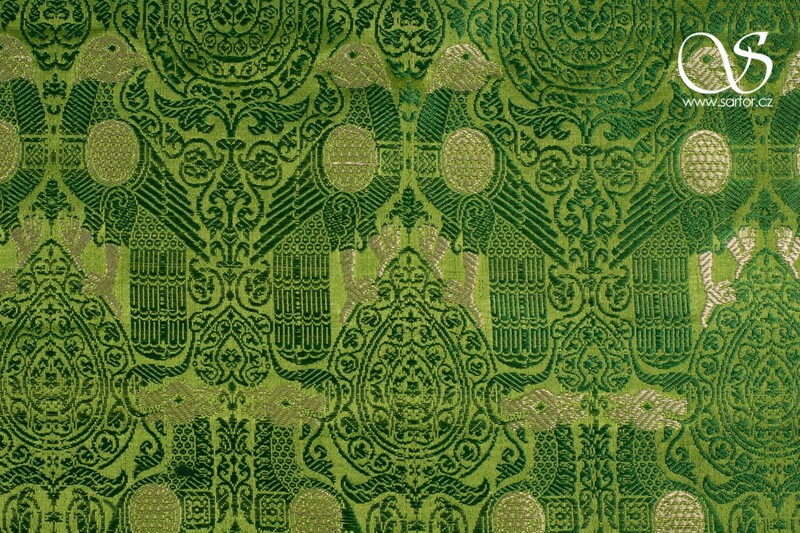 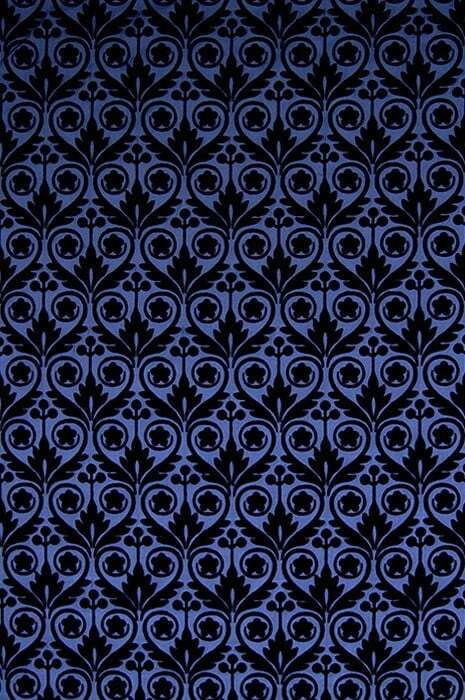 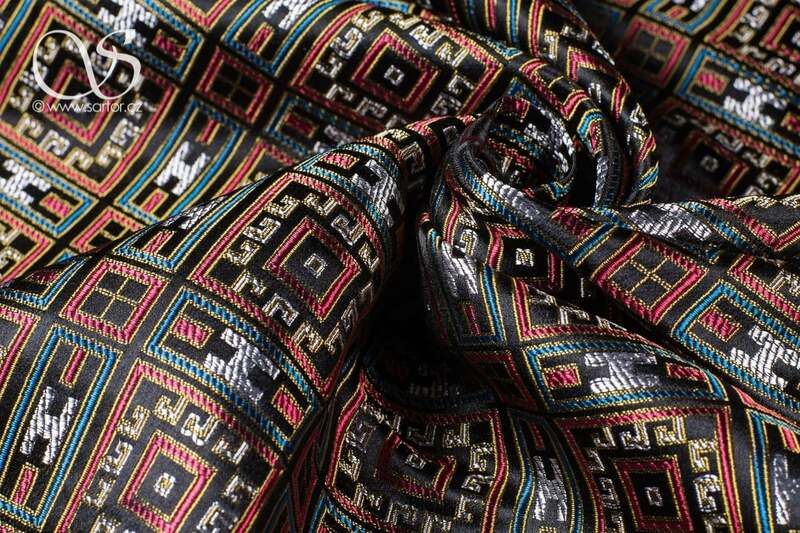 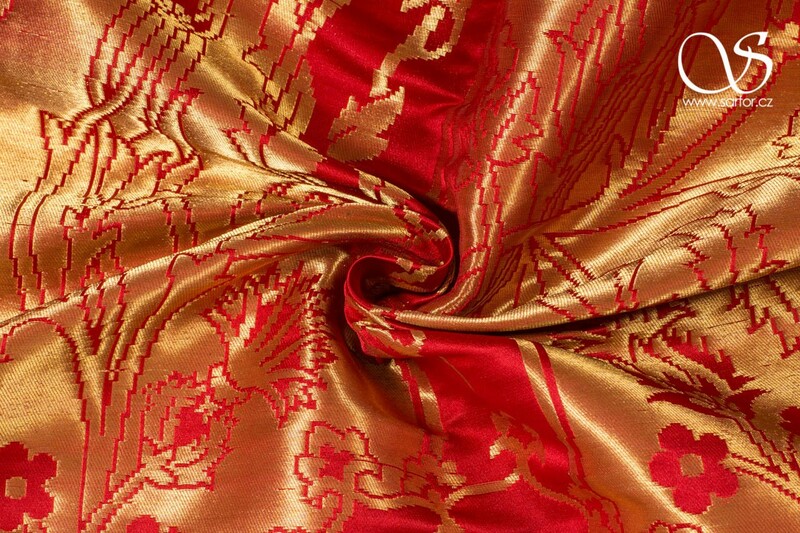 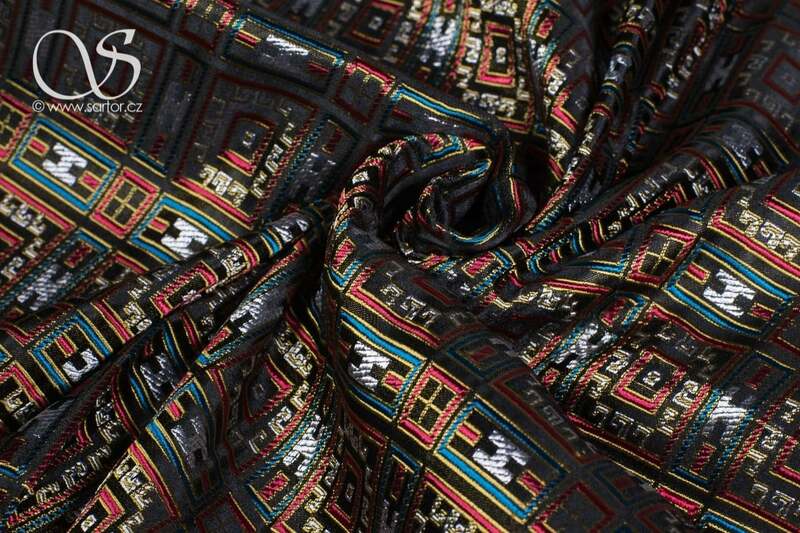 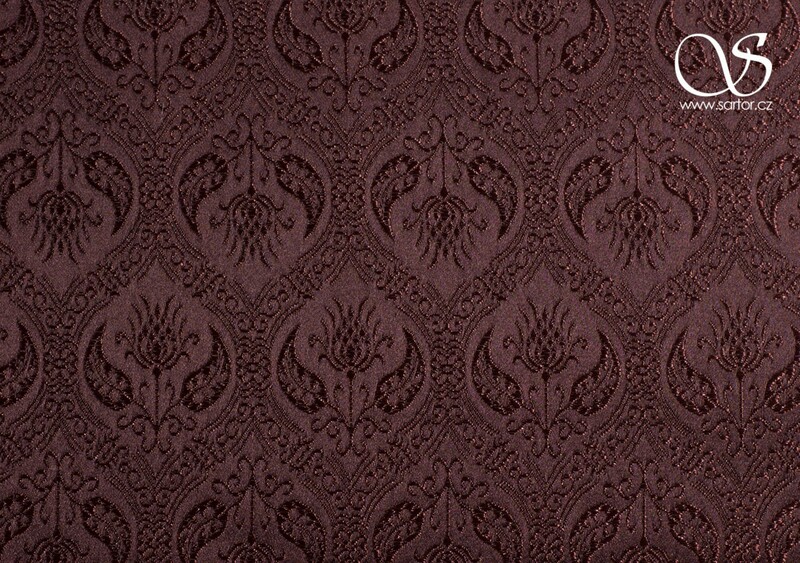 We took rich decorative motif in its original colors and wove it into a strong brocade suitable for Viking garments. 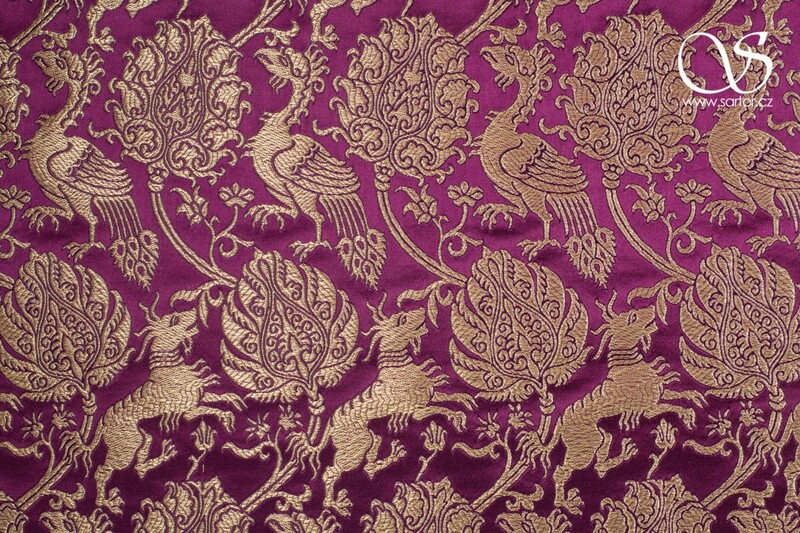 Use it on hems or as trims, full-bodied brocade garments were not that usual. 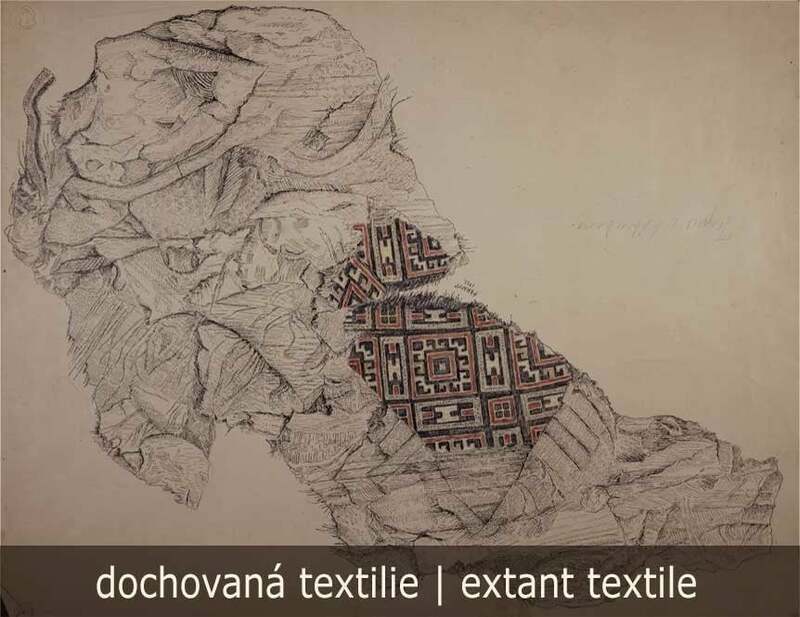 The original tapestry can be found in Norway in the Viking Ship Museum in Bygdøy near Oslo. 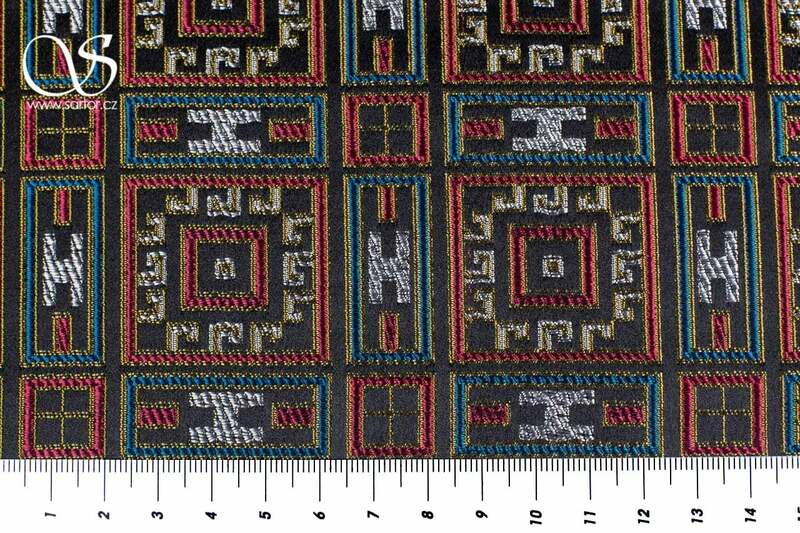 : 6.3 cm / 2.6"